GHOST FREQUENCIES is out today. 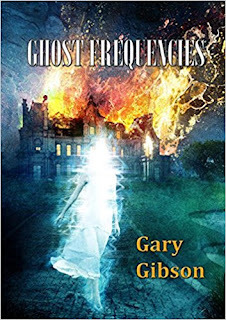 This week, I’m celebrating the release of my new book (novella if you want to be technical about it) GHOST FREQUENCIES, published in paperback, ebook and hardback by Newcon Press. 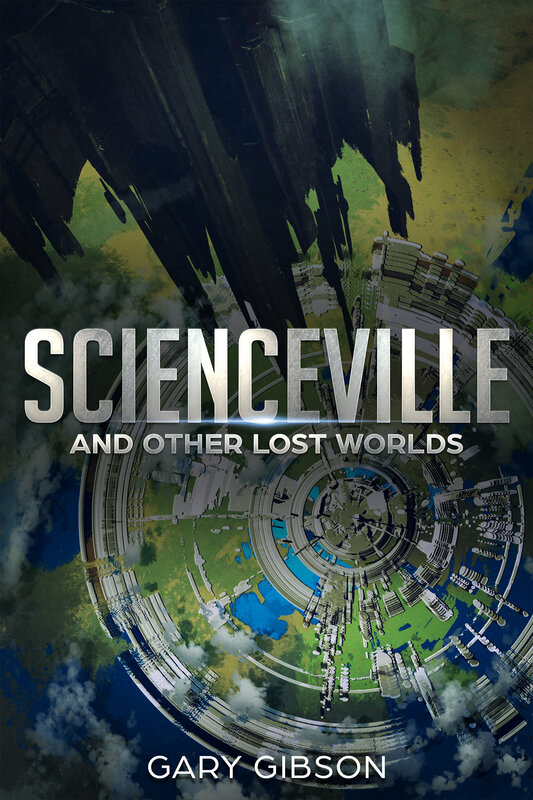 Just so you can share in the joy a little bit more, I’m dropping the price of my recently-published short fiction collection SCIENCEVILLE AND OTHER LOST WORLDS to just 99p/$0.99 for the next week. So if you’ve been holding out, now is the time to grab it. But you’d better hurry! It’s almost certainly going up in price once the sale is over. Now I get to tell you a little more about Ghost Frequencies and where the specific inspiration came from. Diamond-hard science fiction that explores the edges of known science. 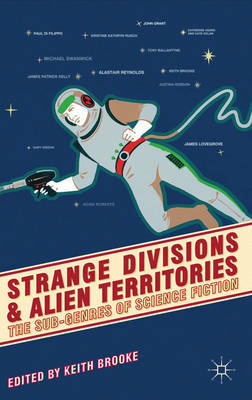 A few years back, I was commissioned to write a chapter of a book about different genres of science fiction. In the article, which focused on hard sf, I made the argument that hard science fiction, rather than focusing only on what is actually possible within the current limits of human knowledge, is more often the place where fiction touches the genuinely unknown and, within the limitations of the human senses, possibly unknowable. The difference, I further argued, between hard science fiction and other forms of literature such as horror and fantasy, is that it most often tries either to explain what it encounters, or uses the failure to find such an explanation as a literary gambit to trigger feelings of awe in the reader at the seeming vastness of the universe. Examples abound: in Greg Bear’s Blood Music, an experiment in microbial genetics leads to the creation of a new form of cellular life that quickly swamps the entire planet - but in doing so, apparently surpasses the intellectual limitations of humanity, finally and profoundly altering the universe itself on a fundamental level. The best example is still, probably, Arthur C. Clarke’s 2001, closely followed by Arkady and Boris Strugatsky’s Roadside Picnic. In both, human explorers are confronted by unknown and possibly unknowable artefacts that imply strong limits to the human mind’s ability to comprehend the wider universe. For my own personal tastes, the best science fiction is that which pushes just a little bit beyond what we know to be true - fiction that suggests or implies the existence of an unknowably vast reality hewing to as yet undiscovered laws of nature, just beyond our ability to see it. In 2001, impossibly advanced and apparently benevolent aliens use their incomprehensible technology to humanity’s benefit. 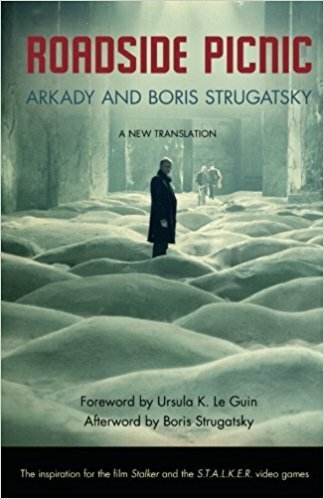 In Roadside Picnic, the aliens are indifferent to humanity; and in the work of HP Lovecraft, they’re actively working to destroy us. In all cases, humanity is, by comparison, insignificant. There’s a particular and very British approach to this kind of science fiction, and probably the best examples were created by Nigel Kneale. In the various Quatermass series and movies, these dark and alien forces are always malevolent, and - most importantly - hint at a history that encompasses large tracts of British folklore. When an unexploded bomb beneath a London underground station turns out to be something far older and far more alien, Quatermass soon learns that the whole area surrounding the station has long been haunted by “spirits” - manifestations of alien forces locked within a million-year old spacecraft. Other British TV shows, such as The Changes and Nigel Kneale’s non-Quatermass teleplay The Stone Tape, further explored the hinterland between scientific knowledge, horror and folklore, applying a technological sheen to an essentially MR Jamesian mode of fiction. Thinking about all of this led me to write Ghost Frequencies, published this week by Newcon Press. I’ve long wanted to write something that explores these same uniquely British hinterlands of scientific enquiry. The whole story is set in a small fictional English town; before now, much of my fiction has been set either in the States or some other world altogether. The protagonist, Susan MacDonald, is trying to build a communications array utilising particle entanglement in a newly-refurbished mansion called Ashford House that now operates as a fully modernised research establishment. The mansion belongs to the sole remaining member of the Ashford family who now makes a living investing in Silicon Valley start-ups. He’s keen that Susan come up with results, but there are problems. People hear whistling coming from empty rooms; the night caretakers keep quitting; and Ashford himself is strangely evasive when Susan discovers a team of paranormal researchers have been given full access to the mansion. Much of the theory behind the story involves a purely theoretical phenomena known as “quantum retrocausality”. I’d say about half of the effort of writing Ghost Frequencies was just trying to get my head around that. If you want to feel like your head has been twisted off, you could do worse than to watch this video. What happens when science meets the apparently inexplicable? What happens is, you get the kind of science fiction I love to read and to write. Except this time, I’m trying to scare you as well. Ian Whates of Newcon Press posted the artwork for Ghost Frequencies, amongst others, in just the last couple of hours, so I guess it's okay to talk about it here. GF is one of a set of four forthcoming novellas/short novels, with the others written by Ricardo Pinto, Adam Roberts and Hal Duncan - making a strong Scottish representation with three of us from north of the border. The artwork, by Ben Baldwin, is created as a single piece and divided up between the four books. The art for Ghost Frequencies, therefore, is the first quarter of the painting - the ghostly lady in front of a burning mansion. I have to say that I think Ben has done a great job not only overall, but also of capturing the spirit of my own book. I can't wait to see it in print. No word yet on the publication date, but as soon as I get it, and as soon as I feel able to speak more directly about the nature of the story itself, I'll post here. I just posted Chapter Three of Last Tour of the Apocalypse to my Patreon page. 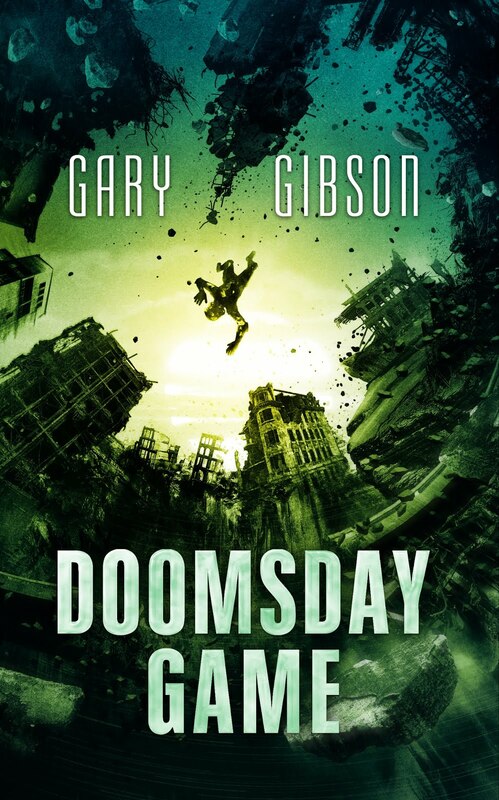 So, a reminder: if you not only want to read a new book by me, one following on from the events in Extinction Game and Survival Game, you can not only read it as it appears chapter by chapter every couple of weeks, right now, you can see it in its raw form, meaning somewhat edited, but not quite polished. And it'll only cost you a dollar or so a month to read them as they appear. 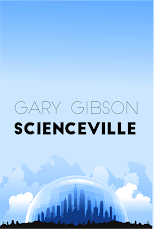 It's a bit over a month now since I published Scienceville and Other Lost Worlds and, well...it's done pretty well, actually! It's sold a lot more copies than I thought it would. As for how much it's made - enough for me to take my ageing and wheezing 2012 MacBook Pro to the GuangHua Digital Plaza in central Taipei a couple of weeks after the launch and get it upgraded to a shiny new 256Gb SSD drive. And now it just whizzes along. 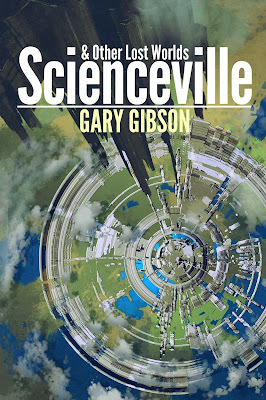 And, you know, if you haven't read it yet, you could always click on that link on the right (if you're seeing this on a computer screen, anyway) and buy Scienceville. If you're reading this on a phone, here's a link to the relevant Amazon page. And the collection does continue to sell, I'm delighted to say. There are several four or five star ratings on Goodreads, but just the one lonely five-star review on Amazon UK. If you read it and liked it, consider leaving a quick review on Amazon. For the moment, I'm keeping the collection exclusive to Amazon, but at some point eventually I guess I'm going to have to 'go wide' and sell it on other platforms as well. I'm also - slowly - designing a paperback version too. 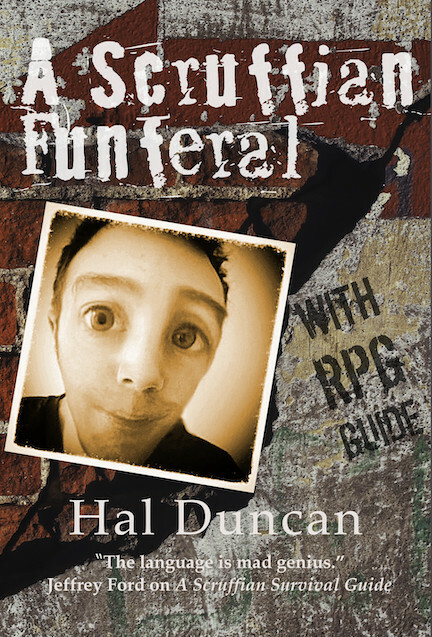 My hope is I might even be able to persuade some convention vendors in the UK to take a couple of copies, but we'll see. One side note: while the book is selling well, about 95% of those sales are in the UK. Sales in the US, by contrast, remain very low. 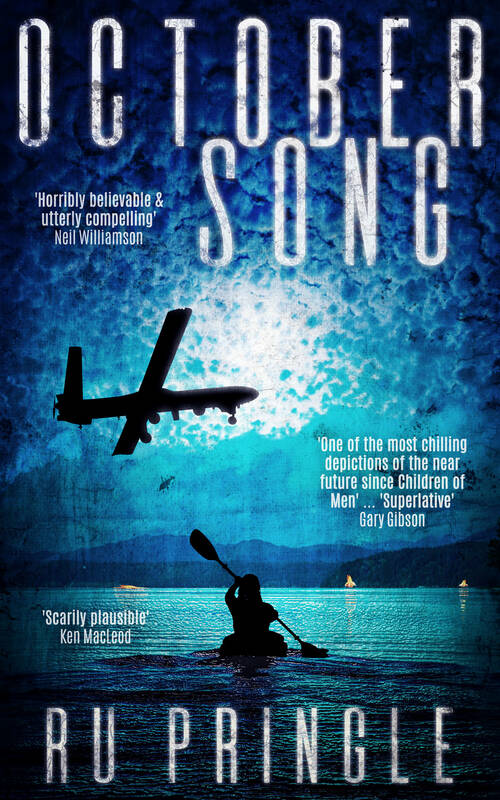 Why this is, or why none of my books have gained traction in the US, at least not in terms of scoring a Stateside book deal, is something that's long escaped me. 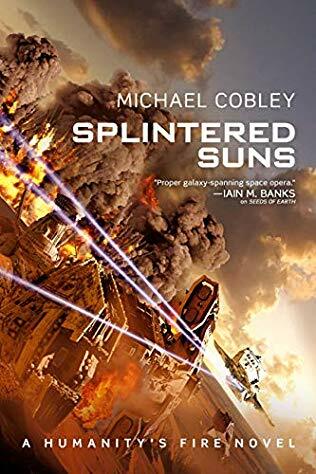 But I also know it's the case that many, many British sf writers just don't seem to appeal that much to American readers, bar a certain minority, so perhaps that's the case here. If so, fair enough: I know where my audience lies. The collection is doing well enough - and will, one can only hope, continue to do well enough - that I'll now seriously consider writing something specifically for future self-publication. To be clear, this does not mean I am abandon traditional publishing: far from it. But I am a fan of the hybrid model, wherein you can pursue a career in both. I'm happy to say that my novelette Scienceville, which first appeared in Interzone and which is also available to download here for people who subscribe to my mailing list, is now also available as a podcast from Starship Sofa. The Starship Sofa podcast has been running for years now, and it's one of the best science fiction audio drama podcasts going, indeed perhaps even the best. The story is narrated by Thomas Pipkin, who does a terrific job of handling all the many accents, both male and female. If you want to take a listen, go here. Libraries, and why they're important to writers as well as readers. Apart from the fact they're a really good place to borrow free books, libraries - and I'm talking about British libraries here specifically - can be a source of sometimes significant income for a writer. I'm not sure enough people are aware of this, and since a new annual payment has just rolled around, I think it's worth highlighting. Every year, the UK library service takes all of the loans its made of an author's book and pays the author based on the number of loans. The amount of money varies from year to year, but this year, it's 8.2 pence per loan. That's one of the great things about UK libraries; not only do they let you find writers you like for free, they still pay the author. Yes, it's a minimal sum, but it's also a good way for people to find writers they like - and to later go and buy their books instead of just borrowing them. Again, 8.2 pence a throw might not seem like much, and it isn't: but it adds up, and fast, especially if you've got a good few books out, like me. It's one of the things I look forward to and factor into my annual income. This year, I'll be getting about £450 in total - the equivalent, at current exchange rates, of $620. It's not the highest, or the lowest, payment I've had. The lowest was £251 in 2008, the highest £840 in 2016. I had ten novels published through Tor, and all are represented in the latest statement. Extinction Game this time around has the highest number of loans: just under one and a half thousand. Against Gravity has the lowest number of loans, at just 67. All the others range between that figure and the one for Extinction Game. You can see how it adds up quickly. That money goes towards food, bills, mortgage, etc, etc. and the less libraries there are, the harder it will be for most working writers. So if you can't afford to read my books or anyone else's, remember: every time you borrow one of my books, I will benefit.